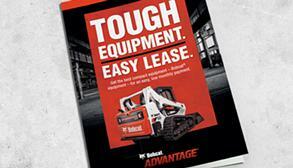 Plus, you'll enjoy the newest features when you lease Bobcat equipment. That includes the most innovative technology and all of the performance, uptime and comfort improvements included with each new generation of equipment. Lease a new Bobcat® T770 compact track loader from a participating dealer in the United States & Canada. With a lease, you’ll have fewer upfront costs, lower monthly payments and flexible contract terms. This offer ends 06/30/2019. Lease a new, open-cab Bobcat® E35 compact excavator from a participating dealer in the United States & Canada. With a lease, you’ll have fewer upfront costs, lower monthly payments and flexible contract terms. This offer ends 06/30/2019. 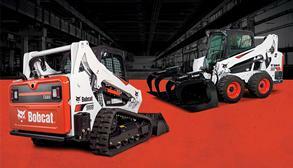 Lease a new Bobcat® S570 skid-steer loader from a participating dealer in the United States & Canada. With a lease, you’ll have fewer upfront costs, lower monthly payments and flexible contract terms. This offer ends 06/30/2019. Defend against the unpredictable. 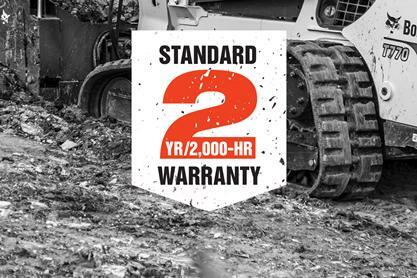 Whatever machine you decide to lease, you get a free 2-year / 2,000-hour standard warranty to protect your machine from participating dealers in the United States and Canada. This helps keep your productivity high by protecting your machine from unpredictable factors at your challenging jobsite. Leasing is available for every Bobcat equipment model, including skid-steer loaders, compact track loaders, mini track loaders, compact excavators, utility vehicles, Toolcat™ utility work machines, and the VersaHANDLER® telescopic tool carrier. Cash flow is important for any business and leasing gives you more flexibility for other investments. For example, you can secure a Bobcat lease without a down payment, which drastically cuts your up-front equipment expense compared to traditional financing. 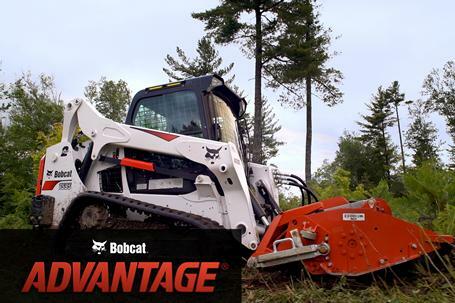 When you lease Bobcat equipment, you’ll enjoy the latest models for less. Access the newest features, innovative technologies as well as all of the performance, uptime and comfort improvements that you expect with each new generation of Bobcat equipment. Leasing eliminates concerns about trade-in value that accompany traditional financing. When your lease is up, just bring it back to your dealership, renew your lease or buy the machine for its remaining value. It’s up to you! Many repair costs are covered by your machine warranty, and a planned maintenance contract can minimize your maintenance expenses. The low monthly lease payment also makes it easier to add extended warranty coverage that further maximizes your uptime. 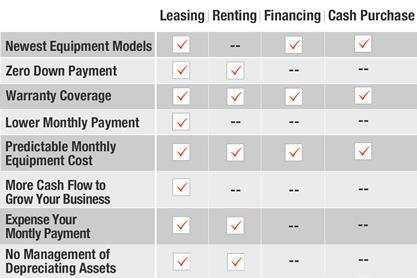 When you decide between leasing, renting, financing and purchasing, you need to know which one benefits you the most. Many share similar advantages, but not all can offer you the same financial benefits and flexibility to grow your business. We compared the top considerations to help you make the smartest decision. Lease a Bobcat machine that fits requirements of your job. Select factory option packages, dealer installed items and attachments. Submit your configuration to your local dealer to receive a customized lease. Your local dealer can help you determine the right lease term for your business, tell you about current warranty information, and answer any of your other questions about leasing equipment. 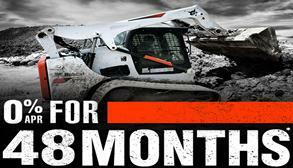 For a limited time, get 0% APR for 48 months* or up to $13,000 USD* in cash rebates when you buy a new Bobcat machine. And get a free 2-year / 2,000-hour standard warranty. *Offer ends 06/30/2019. Available at participating and eligible dealers only. Offer may vary by product type, series, model and select units in dealer's current inventory. Must take delivery from dealer stock by 06/30/2019. Attachments shown not included. Offers available on new equipment in US and Canada only. Some restrictions apply. Length of contract may vary. Prior purchases not eligible. See dealer for details. Financing provided on approval of credit by authorized Bobcat finance providers to well-qualified buyers. Administrative fees may apply. Offer not available to government accounts, national accounts, municipal/utility bid customers and non-commercial customers. Bobcat Company reserves the right to extend or discontinue any of these programs at any time without prior notice.